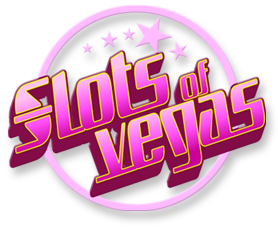 Slots of Vegas Casino offers players a new Vegas Hero every month. Players get the chance to enjoy great casino bonuses with a new Vegas Hero slot. This month, the specially selected Vegas Hero slot game is Ghost Ship. Choose your deposit level, and receive a match deposit bonus offer and free spins. The casino determines the bonus size and number of free spins according to the chosen deposit size. Make a deposit of between $30 and $49, and enjoy a 250% match deposit bonus offer. There is no maximum amount associated with this bonus. In addition to the match bonus, you get 30 free spins on the Ghost Ship slot game. If you deposit between $50 and $99, you get a 300% match bonus with no maximum limit. In addition to this, you get 40 free spins on the Ghost Ship slot. When you make a deposit of $100 or more, you get to enjoy a huge 350% match deposit no max bonus. To make this offer even better, you also get a whopping 50 free spins on the Ghost Ship slot game. Redeem any of these special match deposit and free spins offers with the coupon code VEGASHERO. While many casinos limit the cash out amount from bonus offers, Slots of Vegas chose not to. There is no maximum cash out amount for any of the Vegas Hero bonuses. There is also no maximum cash out amount for Vegas Hero free spins. There is a small 5x wagering requirement associated with these special offers. You may not cash out the original bonus amount, which the casino used to match your deposit. The casino removes this amount from your total before you cash out your winnings. Free spins are always credited to your account at the same time as their partnered bonus offers. Make sure to play all the free spins before you begin playing other games in the casino. The Ghost Ship Vegas Hero match deposit bonus offer runs until 4th February 2019. Make sure to take advantage of these great offers with free spins on the popular Ghost Ship slot game. The Ghost Ship slot game is a Realtime Gaming (RTG) video slot. RTG offers players regular slot releases with one or two new slot games every single month. Last updated by Shannon on February 1, 2019 .